For two weeks now,my son joined the summer sports clinic : “Touch Junior”. As part of their school school activities this summer. The Touch is supervised by Touch New Zealand. According to Touch NZ, Touch is the highest team particiation sport in New Zealand and is played by over 300,000 kiwi every years. 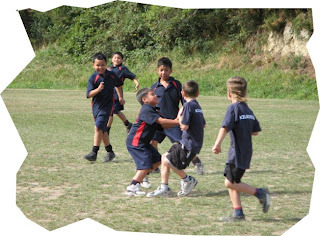 My son Ivan really enjoyed the sports: running,walking and grab the ball against Kilbernie School. 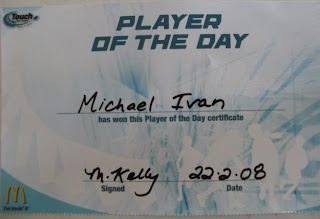 On the first day of the competition my son awarded by Touch NZ as Player of the Day with free Cheeseburger from Mcdonald. I’m so happy that all my sacrifice fade away because I knew my son and also my daughter will bring the family proud. According to National Junior Development Manager Pam Hayde,Junior Touch providesa vehicle for the family to be together and provides a wholesome sporting event. I agree!! so see you next week for touch NZ. « And the winnners is…..